Local governments are working to become more sustainable – in both economic and environmental terms – when it comes to snow and ice control. 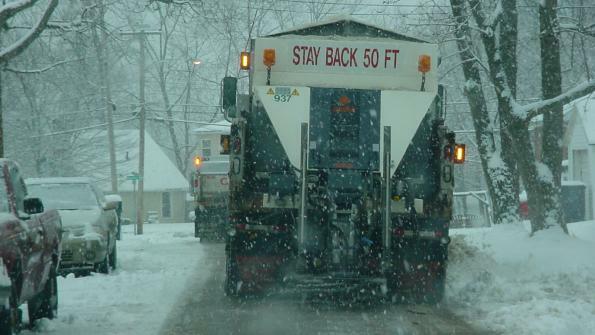 Ensuring roads remain clear during snow storms isn’t a particularly glamorous job, but it’s critically important for municipalities to keep residents safe and commerce flowing during the winter months. However, sodium chloride – the most common tool for clearing roads – is costly and if used improperly, can be detrimental to a community’s ecosystem. That’s why forward-thinking communities are seeking to limit its use and change the way they manage winter weather. “It’s a huge responsibility,” says Diana Clonch, a government consultant specializing in snow and ice control. “For most agencies, it’s a mandate. They have a responsibility to provide snow and ice control and provide for the safety of the traveling community… it’s a signature service.” Because of this, she explains, for years communities have taken an attitude of “it takes what it takes” in regards to snow and ice management, meaning that because of the nature of the task, expenses and environmental concerns took a back seat. However, in recent years, that attitude has been shifting. “What we’ve seen in the past few years is a move toward sustainability and a mindfulness of the impact to the overall operating budget of the costs associated with snow and ice control,” Clonch says. There are numerous reasons for this – budget constraints being a primary factor – but also a growing awareness that government bodies have a responsibility to be stewards of the environment, even in the absences of regulations and mandates. Cuyahoga Falls, Ohio, is a city of just over 50,000 located north of Akron. Its 500 lane-miles see an average of 60 inches of snowfall over 31 events per winter. Street Commissioner Chuck Novak says snow and ice control is one of his department’s biggest responsibilities and definitely its most visual. The city has a responsibility to keep residents safe and ensure commerce continues uninterrupted during winter weather events, so it’s important, Novak says, to stay abreast of the latest snow and ice control technologies and practices. Novak found the answer in material costs. Dry sodium chloride can be expensive and its costs volatile, so he wanted to switch over to cheaper, more stable liquid salt brine. To do this, however, the department would need new equipment. 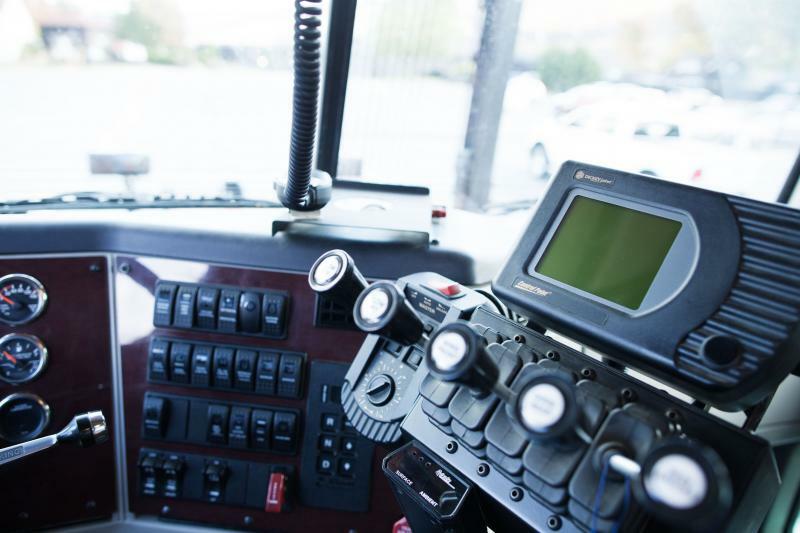 Specifically, Novak was attempting to convince the council to purchase salt spreaders that were capable of using liquid salt brine to cut down on the sometimes-volatile costs of solid sodium chloride, which the aging fleet relied heavily on. Novak knew brine was in nearly unlimited supply in Cuyahoga Falls, due to the city’s proximity to an underground salt vein, and he wanted to capitalize on the opportunity. Because of this, the cost savings are “night and day” according to Novak. The Streets Department was at one time paying $50 per ton of dry material, and now pays pennies for an effectively endless supply of salt brine. Novak started the conversion process back in 2005 and has tracked the costs of the equipment against the estimated salt savings. “Up through 2015 I’ve spent $1,196,000 on equipment,” Novak says. “Salt savings, in dollars, I’ve saved $3,442,000. My maintenance and repair costs have been $225,000.” Even though the maintenance and equipment costs have gone up, it has more than paid for itself in salt savings. Although Cuyahoga Falls is unique in its ability to produce salt brine, Novak says more municipalities should look into its use. Not only is it less expensive overall, it’s better for the environment, since less chlorides are needed to achieve the same effects. However, he admits these decisions are not always cut and dry. Lake George, located in upstate New York covers 32 miles and is internationally known for its crystal-clear waters. Every year, sportsmen and vacationers flock to the region, bringing with them an estimated $2 billion in tourism revenue. Because of this, the nine municipalities bordering the lake clearly have a vested interest in protecting this natural resource, which means being mindful of the materials they are putting into its waters. Chris Navitsky is Lake George’s waterkeeper, meaning he is charged through an international non-profit called the Waterkeeper Alliance to advocate for the swim-ability, fish-ability and drinkability of the lake. “We look at the application of science and technology to tell the story of water and look at enforcing the existing rules and regulations that are on the books to ensure our waterways are protected,” he explains. A part of Navitsky’s mission is to ensure that cities in the region are responsible with the amount of salt they use during the winter. These chlorides don’t simply disappear, Navitsky explains. They end up in the runoff, which end up in streams which ultimately end up in the lake. To notice these types of changes in the lake is significant, Navitsky says, and potentially dangerous. However, while most may have a general idea that raised chloride levels in a body of water isn’t healthy, not everyone knows the specific dangers related to it. There are several key threats, Navitsky says. “As chlorides increase in the water, they change the balance between the zooplankton and phytoplankton, which are the basis of the food chain.” If this balance is upset, it can alter a region’s entire food chain. Another threat, Navitsky explains, is to the fisheries. As high levels of chlorides enter the water after being placed on the road during a storm, they can poison the aquatic life, leading to severe reductions in populations. Additionally, chlorides can boost the growth of algae, which can greatly impact a body of water’s clarity and hospitality to aquatic life. These two points are critical to Lake George’s appeal as both a recreational location and natural resource, so it’s in the region’s best interest to pay close attention. In order to protect the lake, eight of the nine municipalities along its shores have entered into a consortium of sorts, first to deal with the threat of invasive species, and now to deal with the problem of salt, Navitsky says. The ninth municipality did not opt into the consortium because it maintains no roads within the watershed. “We developed a memorandum of understanding that said we were going to work together to take a look at the amount of salt that was being used, to take a look at the available options to reduce that salt and to agree to meet once a year and host a ‘salt summit’ so we can bring in better equipment, better technologies and better methods of winter road maintenance,” Navitsky says. Last year, sensors were placed in all municipal vehicles spreading salt around the lake in order to get solid data on how much was being used. This data will serve as a baseline, Navitsky says, to understand where efficiencies can be increased. Additionally, the region is looking into increasing its use of salt brine as well as live-edge plows to reduce salt consumption.